Muhly grass is a pretty, flowering native grass that grows well in warm climates throughout the southern U.S. and Pacific Northwest regions. It stands up well to a lot of conditions and requires almost no maintenance, while also producing gorgeous sprays of pink flowers. At little cost, you can grow muhly grass from seed for your yard or garden. Muhly grass is a native grass that is popular as an ornamental. It grows in clumps that rise to between three and five feet (1 to 1.5 meters) and spread about two to three feet (0.6 to 1 meters) across. The grass blooms profusely with purple to pink flowers that are delicate and feathery. Muhly grass is native to beaches, dunes, and flatwoods and can be grown in zones 7 through 11. 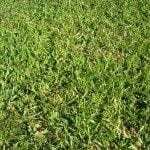 This grass is popular in yards and gardens in appropriate climates for its ornamental look but also because it is low maintenance. It tolerates both drought and flooding and has no pests. Once you get it started, the only thing you might want to do to maintain muhly grass is remove dead, brown growth in early spring as new grass fills in. First, choose a spot that gets full sun. Muhly grass will tolerate some shade but grows best in sun. Prepare the soil by tilling it, and if necessary, mixing in compost or other organic material to enrich it and give it a better texture. Muhly grass seed germination requires light, so press the seeds down as you scatter them but don’t cover them in a layer of soil or compost. Keep the seeds moist until they sprout and grow into seedlings. You can grow muhly grass from seed by starting indoors, which helps to keep the seeds warm enough. You can then move the transplants outside when the weather is right. Sowing muhly grass seeds directly outside is fine too, as long as it is past the last frost. They will germinate best in temperatures of 60 to 68 degrees Fahrenheit (15 to 20 Celsius).You may want to water occasionally during the first growing season, but otherwise you can leave your muhly grass alone and watch it thrive. Read more articles about Muhly Grass.